Join makers from around the world for a cider-paired dinner on the evening before the Salon. A five course menu created by head chef Oscar Davis, with each dish paired to a British speciality cider. 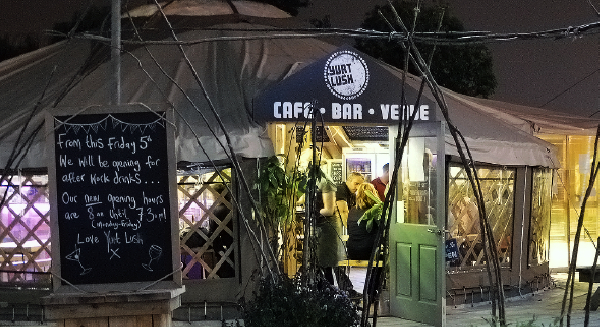 A café and bar in a Mongolian yurt, Yurt Lush brings a calming festival feel to Bristol’s bustling city centre. Tucked away in Temple Meads behind Brunel’s famous Old Station.